About Massage Envy: From day one in 2002, the Massage Envy brand was built on the foundation of helping people feel their best. But Massage Envy is not defined by its position as a category leader, rather by the lives changed by the work of therapists and estheticians across the country. 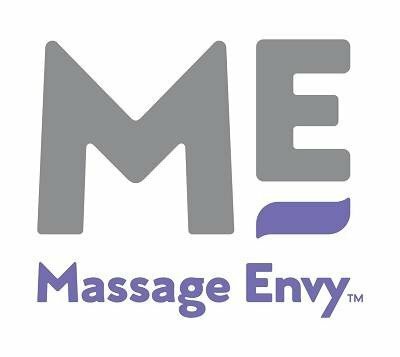 Massage Envy has made therapeutic massage services and skin care solutions accessible to a network of more than 1.5 million members in franchised locations across the United States. And it's all because of a belief that massage and skin care aren't a luxury; they're body maintenance, pure and simple - part of your total body care routine. Regular massage and facial care go a long way toward helping members and guests of Massage Envy franchised locations take care of themselves and do more - do more of what matters to them, what makes them happy, what makes them feel healthy and supports a more well-balanced lifestyle. Purpose: We help people feel their best. Vision: Total body care at Massage Envy is an integral part of everyone's well-being journey. Values: The set of guiding principles for every individual across the Massage Envy organization. These aren't just works on a piece of paper. These are the building blocks of our culture, because we're grateful for the opportunity to help others. We approach our work with positivity and empathy for every member and guest that walks through the door, and just as importantly, for one another. And we strive to earn and to keep the trust of those we serve by delivering exceptional and memorable service. Excellence - We recognize those who live our values and improve non-stop.